Growing up in rural northern Alberta, equity wasn’t high on my radar and there wasn’t a lot of diversity. I knew that kids in my school were not likely to come out and were more likely to hide their sexual expression until they moved away. The one student who was half-black was nicknamed the ‘n’ word in what appeared to me to be a loving way – at least he didn’t seem to mind. Whenever the hockey team from the reserve came to play the local team everyone just expected that there would be fights and extra police around. At the time this just seemed to be the way things were. If you don’t fit in you just move away from the pond to a bigger lake as soon as possible, which is exactly what I did. After doing some traveling and living in a few different cities I ended up in Toronto. In this big city there seemed to be so much anonymity, you could get away with anything if you had enough confidence. It didn’t seem to matter what race, gender or sexual orientation you were, people could find their place. After living in the city for a while though I saw the same issues as everywhere else and in some ways even worse, women getting groped on the bus, well-meaning warnings to stay away from certain unsavory neighbourhoods, people sleeping on the streets. These were things that just didn’t seem to happen in my small country town. After hanging around the city a bit, I finally hit the books, sick of being a watcher and needing to know how we can fix things. I dove into Equity Studies. School was great at giving me all kinds of knowledge about the what, why and how things were happening, things my privileged identity had often hid from me. The legacy of slavery in Canada, the Chinese head tax, the imprisonment of the poor, the police raids on gay clubs…everything made sense and everything was interconnected. I could now see how that student who stayed in the closet throughout high school suffered and in going to a big city, still dealt with negative attention and comments. I could see how the lack of knowledge about treaties led to the perception of Aboriginal people getting lots of handouts and how Canada’s failure to uphold the treaties has led to increased poverty for Aboriginal populations. It all seemed connected and important, I could never settle on just one issue to work on. And I was still left wondering what I could do with this knowledge and this need to make a difference. Through a chance encounter at an event I ran into Roz Espin, she tells about the organization she works for called Harmony Movement, “I’ve never heard of you before” I say, “but the work sounds amazing!” Following the event, I rushed home and immediately looked them up. I messaged Roz knowing immediately that I had to be a part of this place! A place that does it all, that recognizes the interconnectedness of all these issues that I can’t separate in my own head, that is working with youth to engage them to make the change, that has a vision and mission for a better more inclusive place where everyone can succeed and we can all be in Harmony, a place where diversity leads to strength instead of division. I found my place, the answer to everything I was searching for, I found Harmony Movement. Now as our time here comes to an end, I am so grateful for the learning it has provided me. I’m grateful for the opportunity to be surrounded by so many individuals of different backgrounds and knowledge. Harmony Movement has afforded me the ability to be a part of the change I want to see in the world. It has been inspiring to see how far so many youth have come in accepting differences and taking action to create more inclusive schools. Though there is still so much more to be done, we have partnered and collaborated with so many individuals working tirelessly to change our schools, societies and create opportunities for youth voice to be amplified. Most of all my colleagues here have shown me how to have courageous and difficult conversations with grace and openness. Though it is with sadness we shut down operations, the legacy of Harmony Movement continues through each and everyone one of us who has been a part of this organization: our youth, educators, our staff and board, interns and volunteers and so many more. Harmony Movement is an awareness, a commitment and a passion for social change. May it’s legacy continue to inspire and transform. Janelle Yanishewski has worked at Harmony Movement for the past five years in a variety of administrative, communicative and project management roles. Over the past year she coordinated 13 conferences all across Canada which took her to places like Yellowknife, Moncton, Edmonton and Montreal repping Harmony Movement. After 25 years of service to the community, Harmony Movement will cease operations on June 30, 2019. Drastic funding cuts from the Ontario government in equity and inclusion have had a devastating effect to the entire education community as well as the agencies that serve them. The social enterprise, Harmony@Work, will continue to focus on workplace diversity, equity and inclusion training. Since 2016, Harmony@Work’s workplace training has impacted over 2,000 professionals and leaders in the social service, government, manufacturing, labour and tech sectors. Community leaders Mary Anne Chambers, Gordon Cressy and Dr. Joseph Wong founded Harmony Movement in 1994 to combat racism and discrimination, and the “us vs. them” mentality that was pervasive at the time. During its first decade, Harmony Movement concentrated on public education, carrying out the national project “Them = Us: Photographic Journeys Across Our Cultural Boundaries” that toured 60 communities from St. John’s to Victoria. The project had two offshoots: a photography book, Harmony Harmonie; and a resource kit for educators, Exploring Harmony. Beginning in 2005, Harmony Movement delivered diversity workshops to Ontario schools, culminating in a collaborative relationship with the Ontario Ministry of Education to support the implementation of its Equity and Inclusive Education Strategy. Since 2012, Harmony Movement has delivered student and educator training programs to 59 of 60 English school boards across the province. Harmony Movement expresses our deepest gratitude to our educational and community partners, sponsors, donors, board and staff past and present, as well as to everyone who has supported us through the years. This year, on International Women’s Day, we have got to talk about intersectionality – in deep and meaningful ways that shift conversations and engage critical thinking. As educators, we have the incredible privilege and responsibility of guiding conversations that expand minds and ultimately move social change. Intersectional feminism is by no means new. Indeed, it was coined back in 1989 by Dr. Kimberlé Crenshaw to describe the lived experience of being female and Black. According to Crenshaw, traditional feminist and antiracist policies fall short for individuals experiencing intersecting oppressions. For Crenshaw, her experience as a woman cannot be separated from her experience as a Black person. It’s not difficult to understand the ways in which traditional feminism has failed women of colour, women with disabilities, or trans women, for example. A very quick Google search of history + feminism delivers photo after photo of women who pretty much look exactly the same (i.e. are white, middle-upper class, and follow prescribed gender norms). When these images become the prototype, critical thinking can turn off. We passively talk about women’s right to vote without adequately acknowledging that the suffrage movement betrayed Black women and that Indigenous women in Canada, for example, got the right to vote 53 years after the first white woman. We do these movements a complete disservice when we gloss over these very real truths. Not only that, but we perpetuate the ongoing oppression of those who continue to fight for the human rights of women with diverse lived experiences. Discussions around intersectionality have been given larger platforms in recent years, particularly as the Women’s March on Washington took off in 2017. Understanding intersectionality means the recognition that women with disabilities, for example, are 25 percent more likely to live in poverty than men with disabilities (who, unsurprisingly, are more likely than able-bodied men to live in poverty). It is the understanding that for women of colour in Canada, there is a pay gap within the pay gap. Gender-based violence, which was at the forefront of Dr. Crenshaw’s development of intersectional analysis, is still an epidemic in Canada, with half of all women having experienced at least one incident of physical or sexual violence after the age of 16. When these numbers are compounded by systemic racism (intersectionality), we are faced with the grim reality that upwards of 4,000 Indigenous women have been murdered or are missing in this country. This International Women’s Day, we implore you to have deep, courageous conversations about the history and future of the women’s movement. Read about diverse women who have been fighting for their rights for decades – often without the recognition awarded to those who more neatly fit within the historically rigid definition of “feminist.” Have women across history helped move women’s rights forward? Sure. Have they experienced (sometimes self-imposed) blind spots? Absolutely. It’s time to push ourselves – and our students – to acknowledge history’s shortcomings and to explore intersectionality. It’s time to actively seek out the bold voices that are shaping the women’s movement into a space of authentic inclusion. Note that this plan has been developed with Grade 9 students in mind; that said, it can be modified for your classroom needs. 1. Start the class with an open discussion on International Women’s Day. What do your students already know about the day? What are their impressions of IWD? This can be a brief discussion that helps gauge initial understanding. 5 minutes. Ask students to reflect on what they see. What are commonalities? Whose voices are present, and whose are excluded? 5-minutes. 3. Ask if anyone has ever heard of the word Some may have, but the room may very well be silent. Not to worry! We’ve got you covered with this video from Teaching Tolerance, a project of the Southern Poverty Law Centre. After watching the video, check for understanding. 5 minutes. 5. Give students a chance to explore diverse individuals who have made significant (and very awesome) contributions to women’s rights across the globe. What about Wangari Maathai, the Kenyan woman who spend her life planting trees and leading democracy? What about Sylvia Rivera, a queer Latinx activist who spent her life advocating for trans rights? Or how about Mia Ives-Rublee, disability rights activist? It can be safely assumed that the vast majority of students will not have heard about these activists – women from a range of backgrounds who have spent their entire lives advocating for the full recognition of diverse lived experiences. Looking for more inspiration? Check out Virgie Tovar and Edna Chavez and Winona LaDuke. Select women whose struggles are current, thereby ensuring that IWD isn’t viewed as an issue left in history. If you’re looking for someone your students might know, start with Serena Williams – perhaps the greatest tennis player of all time who still faces both sexism and racism as an athlete. • What are/were her intersecting identities? How did they inform her worldview? • What was the impact that she has made on the world? • What voices does she help amplify? Why does this matter? Print a photo of the individual on a piece of A3 paper along with the diagram included in this blog (of concentric circles). Want an idea of what this might look like? Check out our example here. Posters can be displayed around the room, with 10 minutes at the end of class for a gallery walk. 6. End the class by giving each student a post-it. On the front board, hang a piece of chart paper where students can post questions and “wonders” about these women or about IWD in general. By asking them to post a “wonder,” it keeps the inquiry process moving and encourages students to continue thinking critically about the intersecting movements that make up International Women’s Day. Feel free to start classes with a brief 5-minute discussion on any one of the “wonders” so that students continue coming back to the lesson and the key takeaways. 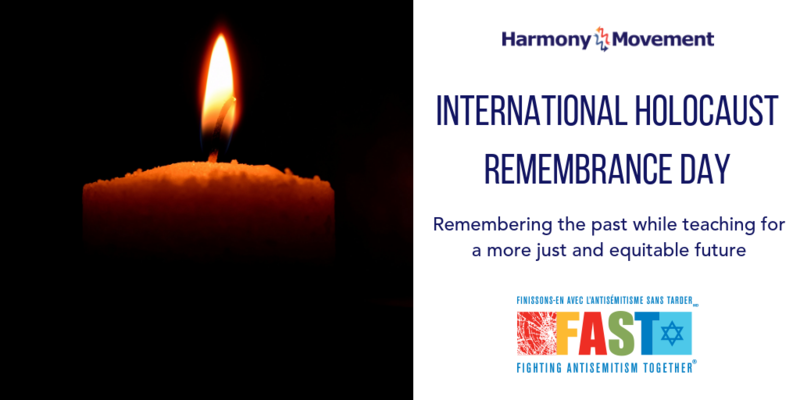 In a few short weeks, Jewish communities and allies across the world will recognize International Holocaust Remembrance Day. During a time of heightened political tribalism – you vs. me, them vs. us – taking time to reflect on the consequences of othering is of incredible importance. The date, January 27th, is not arbitrary – it is the anniversary of the 1945 liberation of Auschwitz-Birkenau. While gross human rights abuses are not to be considered on a single day and then forgotten, having a marked day intentionally rooted in history gives us a chance to honour Jewish victims of the Holocaust as a global community. It is imperative, however, that we honour the past while also recognizing the role it plays in our present. For many Jewish Canadians, news that antisemitism is on the rise is hardly news at all. With reports of antisemitic graffiti in North York as well as the recent attack of four Jewish youth making headlines, growing hate in our communities simply cannot be ignored. The recent shooting at the Tree of Life Synagogue in Pittsburgh sent waves of grief across North America, making this January 27th a particularly difficult one. A government report on 2017 police-reported hate crime, released at the end of November 2018, reveals that the rise in hate crimes nationally is driven largely by incidents in Ontario and Quebec. Between 2016 and 2017, hate crimes against the Jewish population increased 41 per cent in Ontario alone. Nationally, they rose from 221 in 2016 to 360 in 2017 and accounted for 18 per cent of all hate crimes in Canada. As educators, we have an immense responsibility to not only make sure our students are safe, but to teach our students how they can build safe communities for others. International Holocaust Remembrance Day provides us with an authentic segue into critical discussions on human rights and growing antisemitism. Here at Harmony, we’ve partnered with FAST (Fighting Antisemitism Together) to bring you detailed resources that you can use in your classroom. Choose Your Voice (www.chooseyourvoice.ca) provides free online teaching tools for students in grades 6, 7, and 8. Unit 1, Bursting the Voices of Stereotypes, provides an age-appropriate overview of the impacts of stereotypes and bias. The site provides a detailed lesson plan, video, and guided discussion questions that help you bring meaningful content to your classroom. Moving through the site, teachers will find additional plans, program materials, and student resources across multiple units. Voices into Action (www.voicesintoaction.ca) includes free curriculum-based teaching resources for teaching about prejudice, human rights, and social justice to high school students. Chapter 1 of Unit 2, for example, asks students to critically consider the rise of Nazism in Germany. What motivated people living during the reign of Hitler to conform or dissent against the acts of the Holocaust? Students are encouraged to consider the role of bystanders and are later given the opportunity to explore the power of Holocaust art (Unit 5). Both sites are free to educators – now and always – and simply require registration with site administrators. As human rights educators, facilitators at Harmony Movement approve of and endorse the content developed by FAST; we are grateful to have partnered with them and to be able to share their incredible work. With so many resources available, and with antisemitism become an increasingly dangerous threat to all of our communities, we have to recommit ourselves daily to recognizing and responding to all forms of oppression. The International Holocaust Remembrance Day is a chance for us to take meaningful first steps toward acknowledging the past while working toward a more just present and future. On the 30th anniversary of World AIDS Day, the theme is Know Your Status, but the key word is resilience. People living with HIV/AIDS and those that survive them and fight for their rights have lived through a world that repeatedly tries to ignore their existence. They’ve been denied medication, denied basic respect, and have been treated by society as though they have the plague. Canada has come a long way in the past 30 years, but there is still work to be done. Globally, 25% of HIV-positive people are unaware of their status,1 a statistic that UN AIDS is determined to change. Currently, in Ontario, infection rates have reached almost 30,000 according to the Ministry of Health and Long-term Care.2 Stigma still exists despite the fact that HIV education has existed longer than World AIDS Day. But what does that mean for us, in our classrooms, for our students? 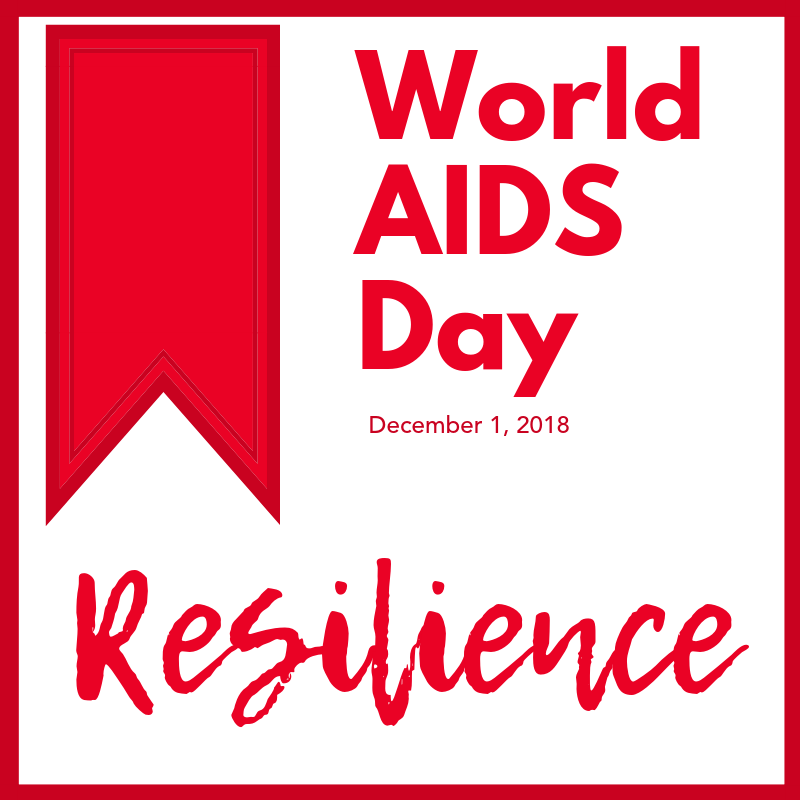 Resilience is the key word 30 years after the start of World AIDS Day and 35 years since the fight against HIV/AIDS began in earnest. Teach your students about prominent HIV activists. Teach them about stigma so that they can recognize it and challenge it. Advocates for Youth is a DC-based organization that provides fact sheets and resources specifically for youth work. It also includes links to youth-led projects and the ways in which AIDS activism intersects across identities. The AIDS activist history Canada project sheds light on the past and present of the fight against AIDS in Canada. Readers can listen to interviews and view archived materials from posters to pamphlets to meeting minutes. Use these resources to discuss where we’ve been and what work there is to do from here. AIDS Action Now covers 1987-2008 and outlines important dates in timeline format. This activist organization also celebrated its 30th anniversary this year4 and continues their fight against stigma and for an end to criminalizing people with HIV. Perhaps most importantly, let your stuents know that while phobias may still exist, there is no reason to fear people with HIV. 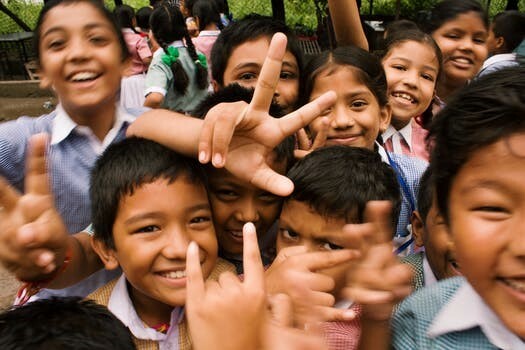 They can join the fight for HIV positive people and help make this world better for everyone. On November 11, people across the country will pause to remember those who lost their lives fighting for the ideals that define Canada. This is important, for it gives us a chance to reflect on our collective history as Canadians and as individuals sharing this world. With hate crimes on the rise, acknowledging where we’ve been allows us to more deeply reflect on where we’re going. As we near this important date, it is important for us to think about what Remembrance Day means, about who has been recognized and about who has not. Viewing the world with an equity lens is to understand that for every narrative, there are dozens of untold perspectives. There are always stories that haven’t been heard. The observation of Remembrance Day is no different. Harmony Movement was formed, in part, after Lt.-Col. Pritam Singh Jauhal was denied entrance into a Royal Canadian Legion in Surrey in 1993. Despite having fought for the British Empire for 38 years, he was not allowed to join fellow veterans on account of his religious headgear. Jauhal spent the rest of his life fighting for religious freedom and for a broader, more open understanding of what it means to be a Canadian. He died in 2016 at the age of 95. Unfortunately, Jauhal’s fight continues. Just this year, a Sikh man in Tignish was denied entry into a legion because of his headgear. This is indicative of the fact that, while Canada has made strides in becoming an inclusive country, there is still work to be done. Do our students know about these stories? When we think of a “Canadian soldier” what comes to our mind first? What image appears? How many other stories like Jauhal’s are there to be told? How do we ensure that we honor those stories too? On Remembrance Day, how do we include a multiplicity of stories so that we have a richer and more accurate understanding of who is a part of Canada? This Remembrance Day, I encourage teachers to expand our thanks – to take a moment to hear untold stories and to honour those as well. Discuss the role that women played as nurses because they were not allowed to serve. In 1941, the first Women’s Division of the Royal Canadian Air Force was formed, but women largely held clerical roles. Indeed, the Division’s slogan was, “We serve that men may fly”. And what about No. 2 Battalion, Canada’s segregated military unit? Black men were prohibited from enlisting and were told, in essence, that it was not their country to fight for. Even when they were given the right to enlist, they faced racism and discrimination regularly. These stories deserve to be told. We, as a country, have an obligation to recognize these inequities so that we can grow and learn and include. This Remembrance Day, take a moment to ask your students what the occasion means and which perspectives not fully recognized. Take a moment to make this day – and all other days – one that acknowledges inequities and takes steps toward inclusion. Harmony Movement is excited to announce this year’s winners of the 2018 Harmony Awards, which celebrate leaders of social change working to transform Canadian society. All awards will be presented at the Harmony Awards Gala taking place November 8, 2018 at the Grand Luxe, North York, ON. 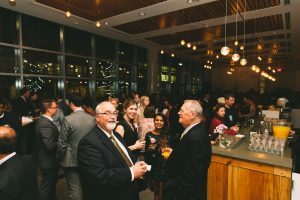 This evening of networking and celebration allows members of the business, government, education, and community sectors to come together to honour the best Social Changemakers in the country. Join us at the 2018 Harmony Awards Gala for an inspiring and uplifting evening with food, drink and celebration. Early bird tickets are available from September 17th to October 1st – get 50% off ($50 ticket for $25). The urgency of peace and peace education feels more palpable than ever. At a time when hate crimes and attacks on ethnoracial groups are on the rise in Canada, the International Day of Peace carries an ever bigger meaning. Established unanimously by the United Nations General Assembly in 1981, Peace Day is celebrated on September 21st through various events and activities worldwide. This year’s theme is dedicated to the right to peace based on the Universal Declaration of Human Rights. As educators and social changemakers, this day is a chance to reflect on our role and responsibility in building peaceful relationships with others, with the Earth, and perhaps most importantly, with(in) ourselves. Our equity and inclusion workshops always start with focusing inward and reflecting on our values, biases, social location, and the power and privileges we hold. This is a useful practice for anyone working to bridge cultural and identity-based differences. As we expand our social and emotional awareness we realize that diversity education is not about the other: it’s about learning about and working on ourselves. What if we approached peace in the same way and believed that “doing peace” has to start with “being at peace”? Don’t think of introspection as ‘naval gazing’ but as a useful tool that educators and peace advocates can use to support their work and growth and help reduce burnout. Psychologists call this “peeling the onion:” delving deeper and deeper, layer by layer into our inner experience in order to gain insight to inform better decisions and actions. This can feel scary and vulnerable – not an easy or natural place to be for many of us. But with practice we can strengthen the vulnerability muscle, ultimately making us more resilient and open to new possibilities. Am I at peace with myself? What may be preventing me from being at peace? Is there an inner truth, voice or need within me that I am not honouring or expressing fully? What would it feel like if I fully lived my truth? Conflict is a natural part of our human experience. As equity educators, our work is often about encouraging cross-cultural conflict resolution skills and techniques in others, helping them turn conflict into teachable moments and bridge-building opportunities. In one of our exercises, we ask people to reflect on their conflict management style: Do you tend to avoid conflict or confront issues head on? Do you see conflict as a competition or an opportunity to collaborate and find a common solution? Your approach to conflict may hold the key to how effective you are in bridging across cultural and identity-based differences. According to the Harvard Negotiation Method developed by Roger Fisher and William Ury and made popular in the book Getting to Yes, underneath most opposing positions are unaddressed human needs, interests and desires. Addressing those needs and interests rather than positions can lead to a more productive dialogue and a win-win resolution. Am I at peace with the people in my life? When thinking about a person with whom you are in conflict right now, what is the nature of the conflict? What are the human needs and interests that are not being addressed, for you and for the other person? What would happen if those needs are addressed on both sides? What good is peace on Earth if we don’t have an earth to live on? Judging by how we treat our oceans, forests, animals and the ozone layer, it’s as if we’re at war with the Earth and all its living beings. Scientists are now saying that human activity and technology may have pushed our planet to the point of no return in terms of climate change. People in developing countries and communities living in poverty are disproportionately affected by climate change, from floods and hurricanes to droughts and wildfires causing mass deaths, injuries and displacements. (Read about the unprecedented flooding in southern India that killed over 350 people and displaced more than 800,000). Harmony’s programs help students and educators reflect on the intrinsic connection between environmental and social justice; Click here to explore our series of podcasts on environmental justice. How can we further deepen our environmental consciousness as educators? Am I at peace with the Earth? How can I be more connected to nature and all living things? What role am I playing in protecting the environment? What is my contribution to environmental justice? How do my daily actions reflect my commitment to protecting our planet? By thinking about the ways that we can be more at peace with ourselves, others and the Earth we can find a new meaning in celebrating the International Day of Peace. Tickets sales to open September 1, 2019. If you are unable to attend the event please make a donation to the Harmony Education Foundation. Help us continue providing programs for equity leadership and social change! To become a Sponsor please complete our sponsorship form and e-mail to gala@harmony.ca. For more information, please call Janelle Yanishewski at 416.385.2660. The gala is presented by the Harmony Education Foundation (Registered charity #87188 9168) for the benefit of Harmony Movement. Nelson Mandela was a symbol of struggle and hope for the oppressed. From black liberation during his early years with the African National Congress to establishing the Truth and Reconciliation Commission in post-apartheid South Africa, he spoke out against poverty, racism and inequality. Even after becoming a statesman and international hero, he remained on the United States’ Terrorist Watchlist until 2008. Activist, Politician or Peacemaker, where to focus lessons? The many sides to Nelson Mandela provide great lessons about being an agent of social change. Whether choosing to focus on leadership styles or different political tactics such as non-violent resistance or armed struggle, there are many ways to integrate Nelson Mandela’s biography or speeches into the classroom. For Intermediate and High School Students, the multimedia resources can address a range of subject areas within Social Studies and Humanities. While each discussion will undoubtedly reflect the particular age, location and needs of the particular students, the overarching lesson is sure to be the same: Nelson Mandela is a man who is rightfully celebrated as a true champion of human rights and equity for all. For most of us, the 3 R’s of waste management – reduce, reuse, recycle, are one of the first lessons we learn as children. But how many of us really stop to think about where our waste (including our recycling) actually goes? Statistics show that there will be more plastic in oceans than fish by 2050. With plastic pollution becoming one of the biggest environmental challenges of our time, reducing our waste consumption is an urgent concern. As educators, we have a great opportunity to teach students about our environmental impact and why it is so important for us to reduce consumption more than anything. One such opportunity is World Environment Day. Celebrated on June 5th, the United Nations’ uses this day each year to encourage worldwide awareness and action for the protection of our environment. This year, the theme is beating plastic pollution. Get your school to become a waste free school. You can do this by encouraging your students and faculty to go waste free! Do you sell or offer plastic water bottles or bottled drinks at school? Did you know that bottled water is almost 2,000 times more energy intensive to produce than tap water? Challenge your students to collect their waste for an entire month. Knowing our histories is always a key part of bettering our futures. Pride Month is a time to celebrate all aspects of LGBTQ2S+ experiences, seeing the wholeness of our identities, and acknowledging where around the world (including in our own backyard) there are still issues that need addressing. While this is happening, celebrating the passion of intersectional queer and trans activists shows the diverse reach of the beautiful people making this world better for LGBTQS+ students and youth.4 Pride Month offers all sorts of angles and entry points to discussing the rights, successes, and challenges of LGBTQ2S+ people. In your classrooms, we thought it would be valuable to breakdown of the rainbow flag into separated mini-activities, bits of knowledge, or self-care pieces centred around what each colour represents. Red- Life: Ask your class to share their gender pronouns and tell the story of their name. Use their first name, last name, middle name, a chosen name. Students can talk about what their name means, why they were given that particular name, or if they could choose a name for themselves what it would it be. This last prompt is especially helpful if the student doesn’t know that story behind their name. Highlight the power of honouring people’s pronouns, and why our names mean so much to our lives. This small act of inclusion can move mountains for you, your students, and your school. Orange- Healing: Try a brief meditation with your class and discuss the power of renewal. Yellow- Sunlight: It’s spring! Take classes outside and search for rainbows in nature. Create art that shows the sun & discuss that the sun rising every day is a reminder of our re-birth. Green- Nature: Share this awesome piece about 6 queer women environmentalists demonstrating some amazing intersectional work. Blue- Art: Visit CBC’s short docs celebrating queer and trans artists from across the country. Show a clip in your class and discuss! Violet- The Human Spirit: Pride Toronto’s theme for 2018 is 35 Years of AIDS Activism.5 Talk about resilience! Communities forced to confront the plague of HIV/AIDS are still going strong and this year, North America’s largest Pride festival will celebrate the continuing strength & passion of these individuals throughout June. However you honour the achievements and discuss the difficulties of the LGBTQ2S+ world this Pride Month, we wish you the best and hope you do so with empathy and an eye to inclusion of the myriad identities on that beautiful rainbow spectrum. Happy Pride! Harmony Movement is Ontario’s leading provider of training programs promoting diversity, equity, and inclusion.